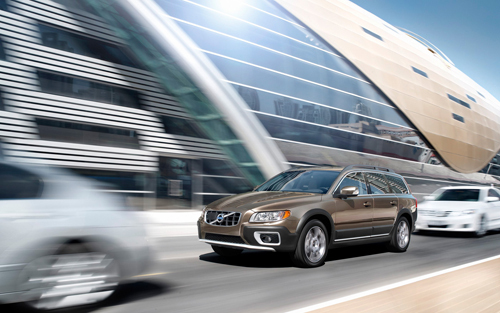 2012 – Volvo XC70 at FGB Metro Station in Dubai, United Arab Emirates. 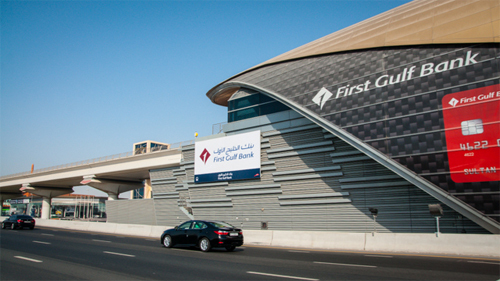 First Gulf Bank Metro Station is located on the Sheikh Zayed Rd in Dubai, United Arab Emirates. 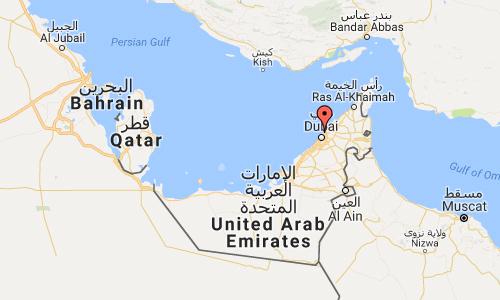 The Red Line is one of the two lines on the Dubai Metro network in Dubai, United Arab Emirates. The first section was inaugurated on 9 September 2009. Construction was declared complete on 28 April 2010. 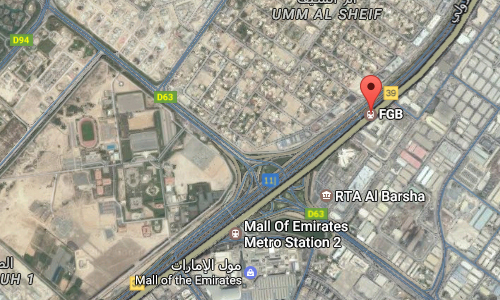 The Red Line runs from Al Rashidiya to UAE Exchange and travels along Sheikh Zayed Road for most of its length. 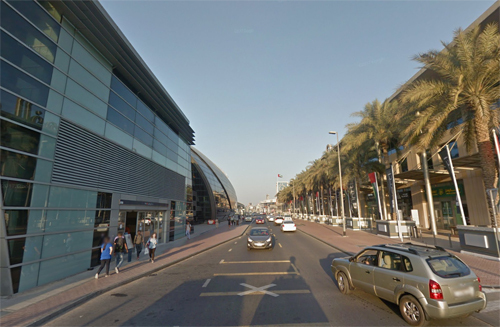 It has 29 stations spanning 52.1 km, which have been opened in phases from 2009 to 2011. The line is the world’s longest single metro line to use driverless trains, as recognized by Guinness World Records in 2011. 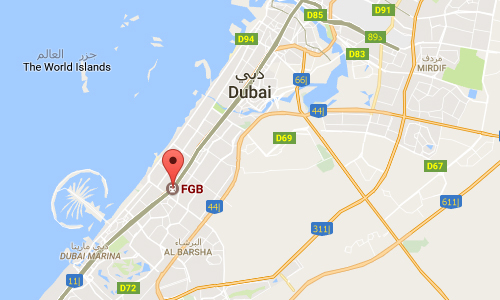 On 15 October 2010 the First Gulf Bank (Burj Al Arab) was opened. The naming initiative has so far generated Dh2 billion in revenue for the RTA. 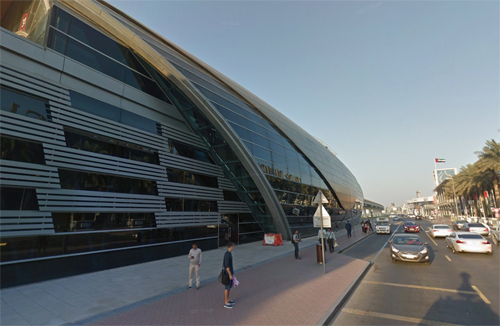 On average, each station has brought in Dh90-100 million. 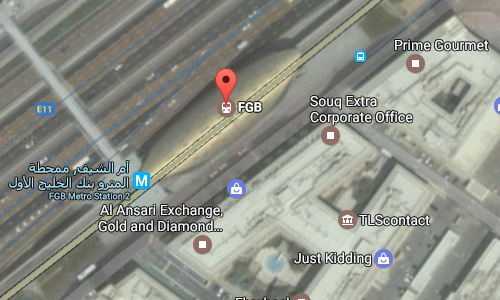 As many as 21 stations on both Red and Green Lines have already been named after local and international corporate giants, including Etisalat, Emirates Airlines, GGICO, Nakheel, Sharaf DG, First Gulf Bank and Danube for Jebel Ali Industrial Station. Noor Islamic Bank is the latest to join the pantheon. More information at en.wikipedia.org and architypereview.com.